Right now you can print a nice high-value coupon to save 75¢ ON ONE when you buy ONE BOX Cinnamon Toast Crunch Churros cereal. Keep an eye out at your stores for this product showing up new on the shelves at some Target locations. 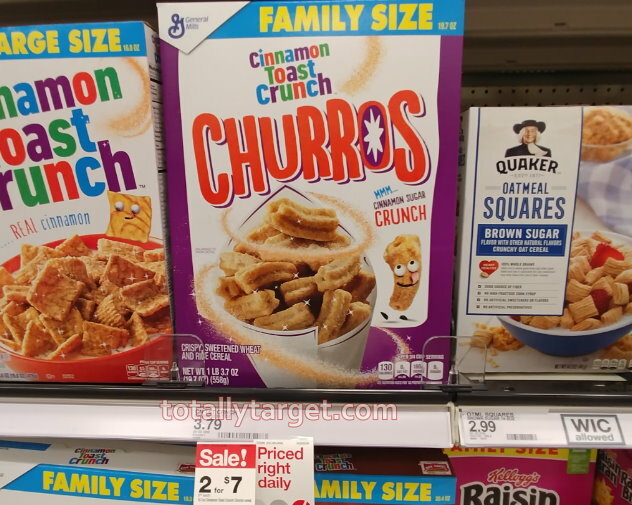 –75¢ ON ONE when you buy ONE BOX Cinnamon Toast Crunch Churros cereal.